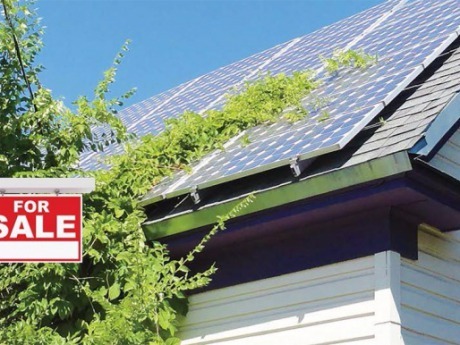 Buying a home with an existing PV system. 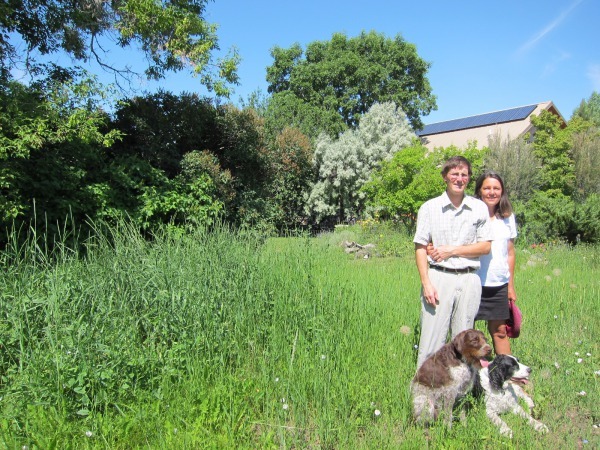 Bozeman residents Jeff and Kathy Ball offset more than 100% of their annual energy load with a 5kW solar installation. 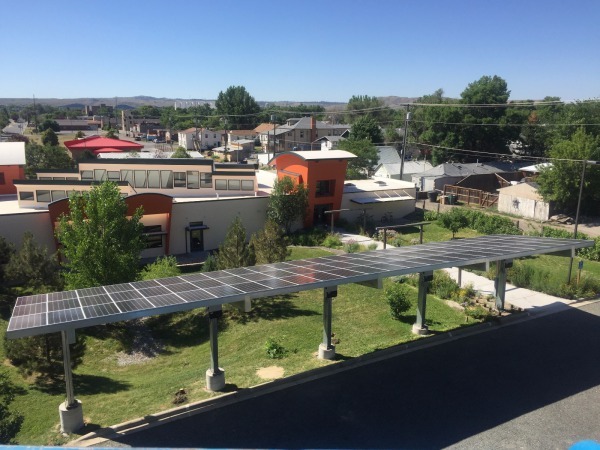 Installed in December of 2015 this 27.36 kW solar array is integrated to the roof at the newly-constructed Butte Justice Center. 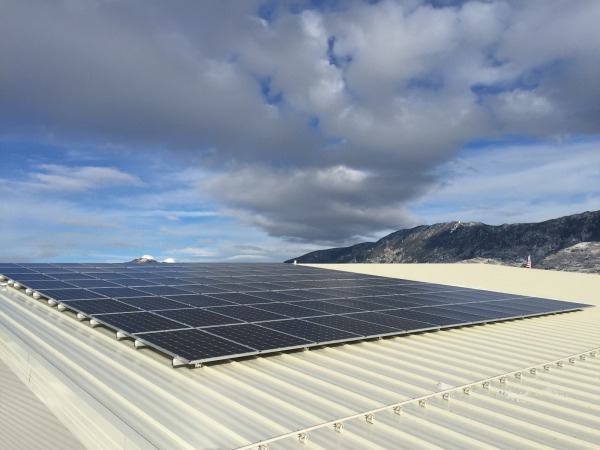 View of the array on the house and one side of the garage. 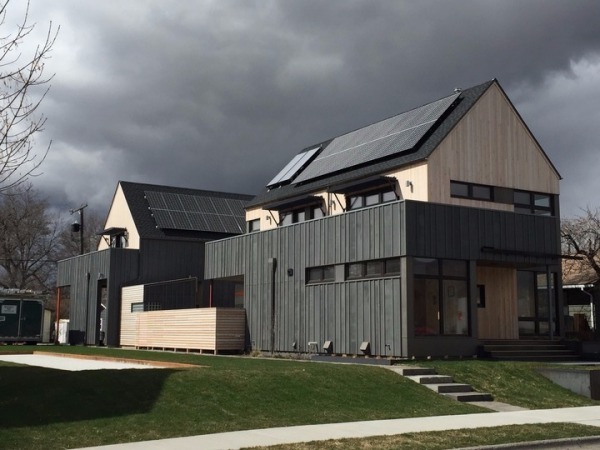 Leading the way in sustainable building, this new home in downtown Bozeman features solar electricity, solar hot water, and an overall focus on build quality and efficiency. 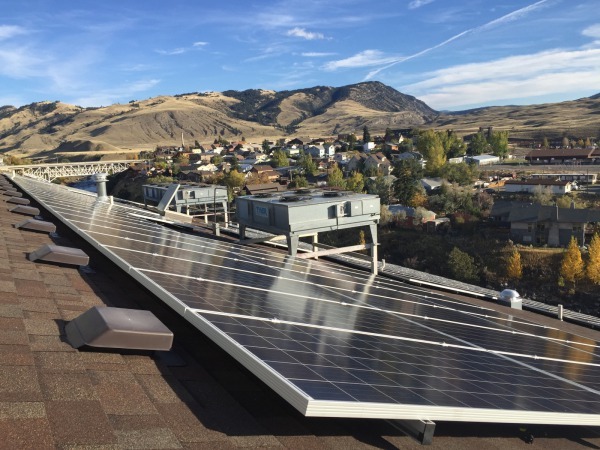 This 8 kW residential solar installation in Big Sky, Montana covers 100% of the homeowner's annual electric usage. 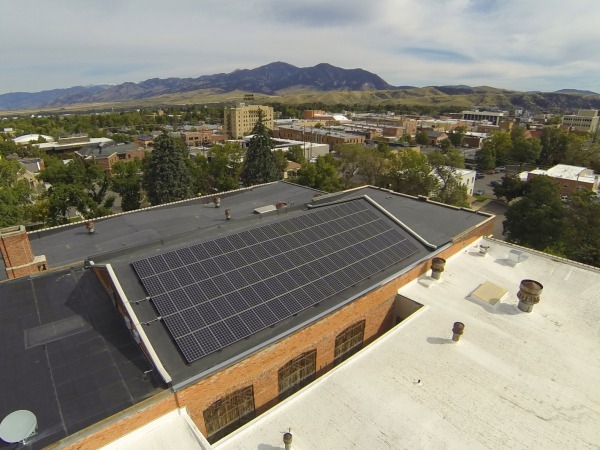 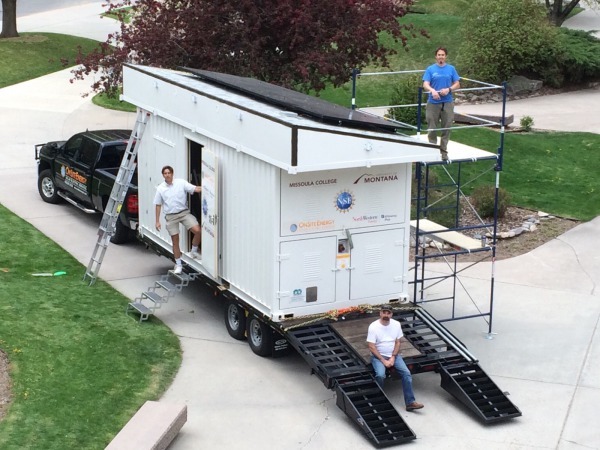 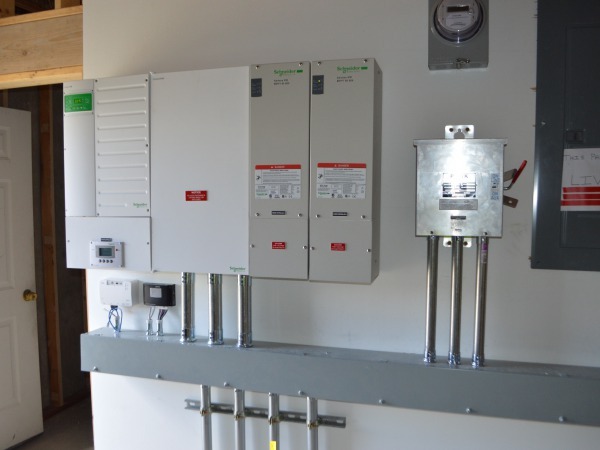 This 30 kW solar system is one of the largest in Bozeman city limits, and covers the entire south-facing roof of the Emerson Center for the Arts and Culture's Crawford Theatre. 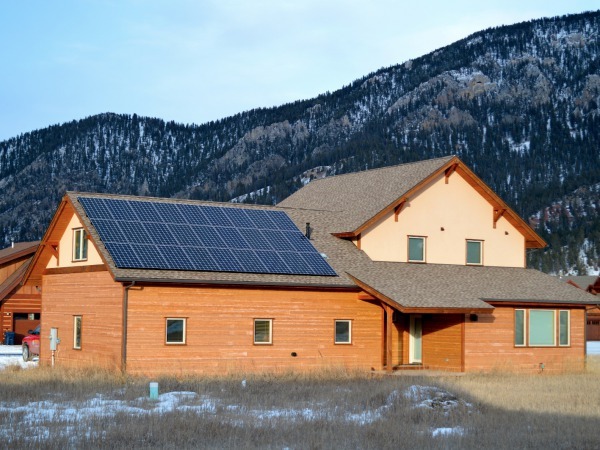 When the dream of off-grid living comes true!